Lenovo’s Moto Z series, which was introduced earlier this year, is compatible with a range of accessory modules called Moto Mods. So far the Moto Mod line includes a speaker, a projector, a battery pack and the Hasselblad True Zoom camera module. When we tested the latter we found the Moto Mod concept to be the by far best modular smartphone system we have seen so far. The modules attach magnetically to the phone and work instantly, without a need to reboot the device, configure wireless connections or adjust any settings. 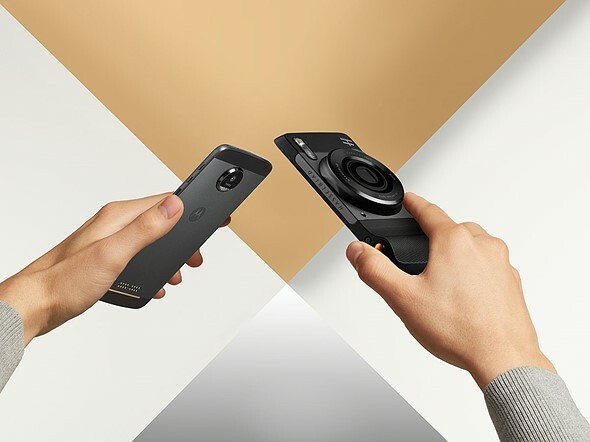 Nevertheless, since the Hasselblad True Zoom we have not seen any new Moto Mods and in the long run the system can only be a commercial success if customers have a large Moto Mod ecosystem to choose from. Lenovo is aware of this and has launched several initiatives to encourage third party hardware and software developers to work on new Moto Mod modules. The Moto Mods Developer Kit (MDK) has been available since the launch of the first modules, but from now until the end of January 2017 hardware developers can design a Moto Mod and enter a competition to win a Moto Z smartphone. Additionally, Lenovo will be hosting a couple of Moto Mod hackathons, one in New York City in December and another in January in San Francisco. Winners of both the design contest and the hackathons will have the opportunity to meet the Moto Mod development team at Lenovo’s subdivision Motorola in Chicago and potentially receive investment to turn their idea into a product. Developers who design prototypes will also have the chance to launch a crowdfunding campaign on Indiegogo. Experts from Indiegogo will help run the campaign and Moto and Verizon will help promote the best projects with current Moto Z owners. We really liked the Moto Mod concept when we tested the Hasselblad True Zoom. However, with the latter targeted at a consumer audience, we would like to see somebody design an enthusiast or even pro level camera Moto Mod. What would your ideal camera mod look like? Let us know in the comments.